Narsimha Caturdasi - This Friday! ~ The Toronto Hare Krishna Temple! Narsimha Caturdasi - This Friday! Festival season continues with Narsimha Caturdasi on Friday, May 24th 2013. This festival marks the appearance day of Lord Narsimhadeva, Krishna's half-man half-lion incarnation who appeared in order to protect the saintly child Prahlada who was being tormented by his father, Hiranyakashipu. 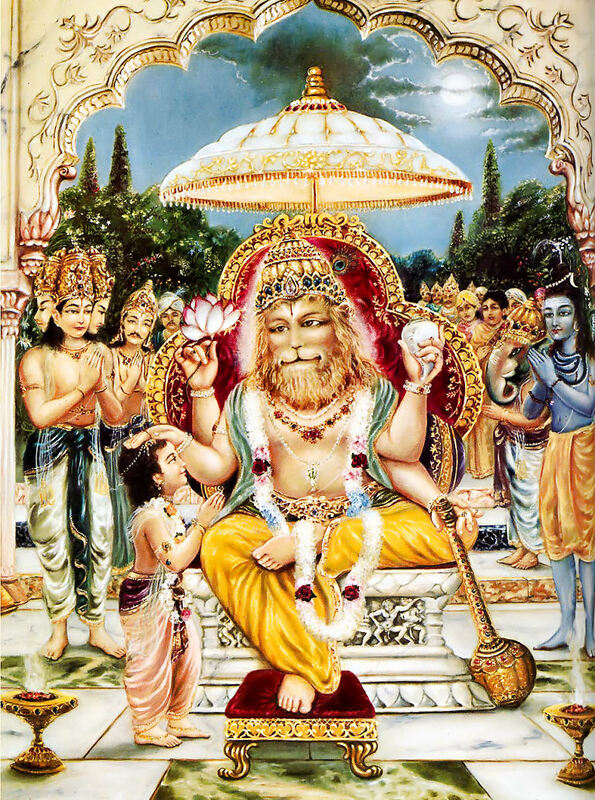 On Friday, May 24th, Toronto's Hare Krishna Centre will be celebrating Narsimha Caturdasi, starting at 6pm and will include an abhisheka (bathing ceremony) and amazing kirtan! Celebrations will include a special surprise so please join us on this auspicious occasion!